For over 40 years, the Palmetto Land Title Association (PLTA) has represented the title industry in South Carolina, providing a number of services and benefits to its members. Formed in 1977, the PLTA strives to maintain professional standard and ethics, provide educational programs and industry information for the benefit of our members, and the consumers they serve, and play a vital role in the advancement of our industry. Membership is composed of title insurance underwriters and agents, attorneys, and other real estate business professionals. The Association is governed by an elected Board of Directors and Officers and utilizes a volunteer Committee structure which allows members to make a direct impact by using their skills, talents, and experience. 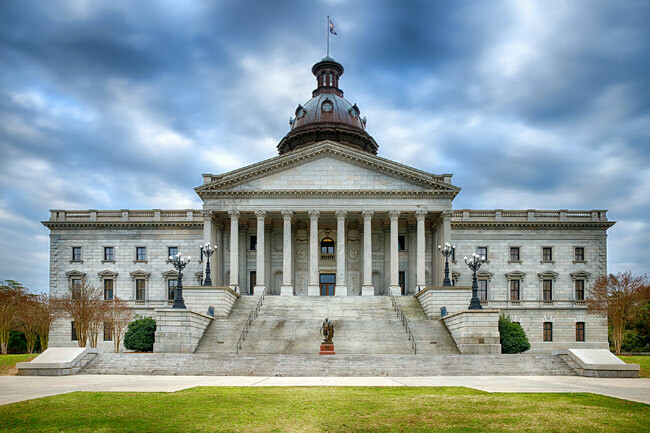 maintain professional standards and ethics of the title insurance industry in South Carolina. As an organization, and through our Legislative Committee, the PLTA is committed to monitoring the state and federal legislative process in order to identify, promote, and support legislation that upholds the integrity of the Association and the title insurance industry. The Association holds an annual conference which provides members the opportunity to earn continuing education credit while learning from the most qualified title and legal professionals in the industry. The PLTA provides many networking opportunities throughout the year that help foster the sharing of information and relationship building with others in our industry. We hold several membership events as well as events that are open to the public. We strive to provide our members with current industry information through our website, newsletter, and other resources. Members are encouraged to participate in our committees which include: Awards, By-Laws, Communications, Convention, Education, Election, Legislative Action/Government Liaison, Membership/Public Relations, PALPAC, and Scholarship.